Asarum is a hardy perennial. It has long lasting flowers, that may still be present several months after the flowering season that occurs in the early spring. Ccommon names for Asarum include wild ginger and Japanese Ginger. 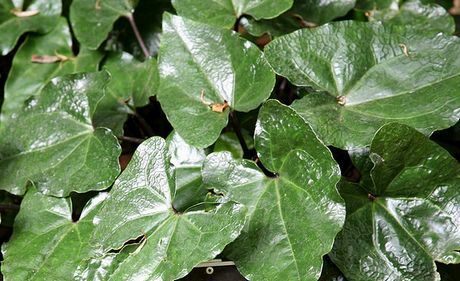 Plants in the Asarum genus are low growing, and are often grown for their dark green evergreen heart shaped leaves. The flowers of wild and Japanese ginger are pretty unnoticeable. Due to their low growing nature wild ginger makes an ideal plant for covering up small spaces in the gardens. Wild Ginger photograph by Nordique. Common Names: Wild Ginger, Japanese Ginger. Height: 6 to 10 inches (15 to 20 cm). Native: East Asia, North America, Europe. Sow Outdoors: Cover seed. Use fresh seed. Autumn. Spacing: plant 13 to 20 per square yard/metre. Sow Indoors: Mix fresh seeds when available in a moist growing medium; place in plastic bag; refrigerate for three weeks. Remove then: Germination time: 7 to 20 days. Temperature 60 to 65°F (15 to 18°C), Grow indoors over the winter then transplant after the last frost. Requirements: Full Shade or light shade. Humus rich moist soils. Soil pH close to 7. Regular watering in dry periods. Apply a fertilizer every spring. Apply a top dressing of compost or peat moss in the autumn. Use Slug pellets. Miscellaneous: Culinary Ginger belongs to the Zingiber genus. If planning to grow Asarum outdoors from the off it is best to sow out the seed in the autumn, simply cover the seeds. If planning to grow wild ginger indoors before transplanting, then seeds should be imbibed by placing the seeds (within soil) in a black bag, then placing in the fridge for three weeks. Seeds should then be sown out at a temperature of 15 Celsius; they normally take about 19 to 20 days to germinate. Seedlings should be transplanted following the last frost of winter or spring at a spacing of 20 plants per square metre into a partially or fully shaded area. Ideally Asarum should be grown in a humus rich soil, that has a pH close to 7. 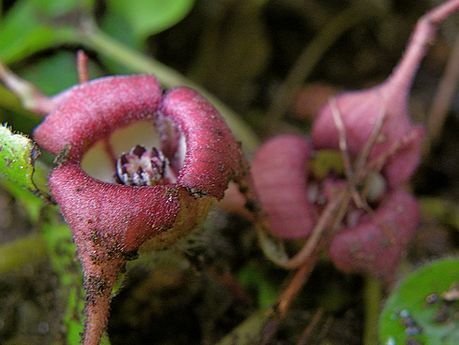 Plants of the Asarum genus are easy to look after. 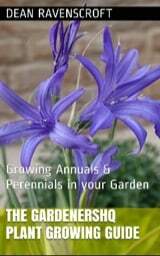 They should be fertilised in the spring and watered in dry periods. In the autumn they should be given peat moss and protected from slugs. If you require more wild ginger plants, then cuttings can be taken in the summer, or the rootstock can be divided in the autumn.